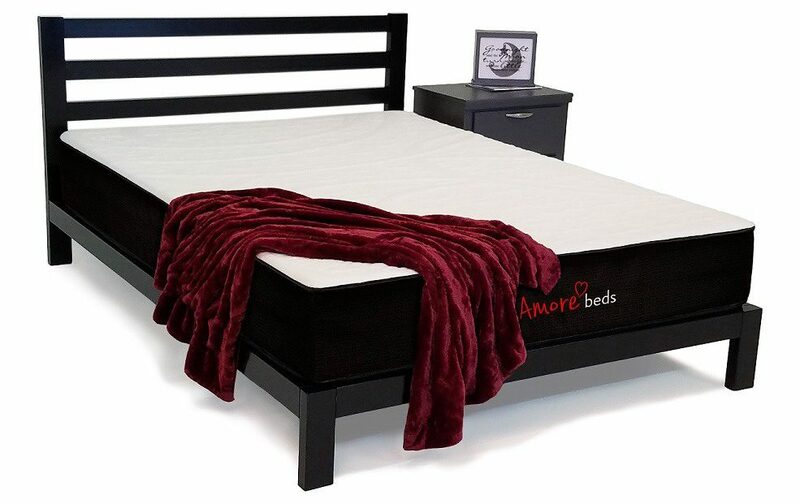 This website is owned by Amore Beds (the “Company”). This site is maintained as a service to our customers. By using this site, you are communicating with the Company electronically and agree to comply with and be bound by the following terms and conditions of use. Please review these terms and conditions carefully. If you do not agree to these terms and conditions, you should not use this website. 1. Agreement. This Agreement (the “Agreement”) specifies the Terms and Conditions for access to and use of the Company’s website (the “Website”) and describes the terms and conditions applicable to your access to and use of the Website. This Agreement may be modified at any time by the Company upon posting of the modified agreement. Any such modifications shall be effective immediately. You can view the most recent version of these terms at any time at AmoreBeds.com/Terms. Each use by you shall constitute and be deemed your unconditional acceptance of this Agreement. 6. Website Use. The Company grants you a limited, revocable, nonexclusive license to use this Website solely for your own personal use and not for republication, distribution, assignment, sub-license, sale, preparation of derivative works, or other use. You agree not to copy materials on the Website, reverse engineer or break into the Website, or use materials, products or services in violation of any law. The use of this Website is at the discretion of the Company and the Company may terminate your use of this Website at any time. 9. Disclaimer. THE INFORMATION ON THIS SITE IS PROVIDED ON AN “AS IS,” “AS AVAILABLE” BASIS. YOU AGREE THAT USE OF THIS WEBSITE IS AT YOUR SOLE RISK. EXCEPT AS STATED HEREIN, THE COMPANY DISCLAIMS ALL WARRANTIES OF ANY KIND, INCLUDING BUT NOT LIMITED TO ANY EXPRESS WARRANTIES, STATUTORY WARRANTIES, AND ANY IMPLIED WARRANTIES OF: MERCHANTABILITY, FITNESS FOR A PARTICULAR PURPOSE, AND NON-INFRINGEMENT. TO THE EXTENT YOUR JURISDICTION DOES NOT ALLOW LIMITATIONS ON WARRANTIES, THIS LIMITATION MAY NOT APPLY TO YOU. YOUR SOLE AND EXCLUSIVE REMEDY RELATING TO YOUR USE OF THE SITE SHALL BE TO DISCONTINUE USING THE WEBSITE. The Company reserves the right to modify or discontinue products at any time. The Company will ship products that have substantially similar functionality and performance as the products ordered, but differences between what is shipped and what is described in a specification sheet, direct mail piece or on the Website are possible. 10. Limitation of Liability. UNDER NO CIRCUMSTANCES WILL THE COMPANY BE LIABLE OR RESPONSIBLE FOR ANY DIRECT, INDIRECT, INCIDENTAL, CONSEQUENTIAL (INCLUDING DAMAGES FROM LOSS OF BUSINESS, LOST PROFITS, LITIGATION, OR THE LIKE), SPECIAL, EXEMPLARY, PUNITIVE, OR OTHER DAMAGES, UNDER ANY LEGAL THEORY, ARISING OUT OF OR IN ANY WAY RELATING TO THE WEBSITE, YOUR WEBSITE USE, OR THE CONTENT, EVEN IF ADVISED OF THE POSSIBILITY OF SUCH DAMAGES. YOUR SOLE REMEDY FOR DISSATISFACTION WITH THE WEBSITE AND/OR CONTENT IS TO CEASE ALL OF YOUR WEBSITE USE. IN THE EVENT OF ANY PROBLEM WITH THE PRODUCTS OR SERVICES THAT YOU HAVE PURCHASED ON OR THROUGH THIS WEBSITE, YOU AGREE THAT YOUR SOLE REMEDY, IF ANY, FROM THE COMPANY IS IN ACCORDANCE WITH COMPANY’S WARRANTY, OR TO SEEK A RETURN AND REFUND FOR SUCH PRODUCT OR SERVICES IN ACCORDANCE WITH THE RETURNS AND REFUNDS POLICIES POSTED ON THIS WEBSITE. 13. Applicable Law; Jurisdiction. You agree that the laws of the State of Illinois, United States of America, without regard to any conflicts of law provisions, will govern these Terms and Conditions of Use and any dispute that may arise between you and the Company or its affiliates. You agree that any action seeking legal or equitable relief arising out of or relating to this Website will be brought only in the State Courts of Illinois. A printed version of these Terms and Conditions will be admissible in any judicial and/or administrative proceedings based upon, arising out of, or relating to these Terms and Conditions to the same extent and subject to the same conditions as other business records originally generated and kept in printed form. 15. Termination. The Company may terminate this Agreement at any time, with or without notice, for any reason. 16. Additional Assistance. 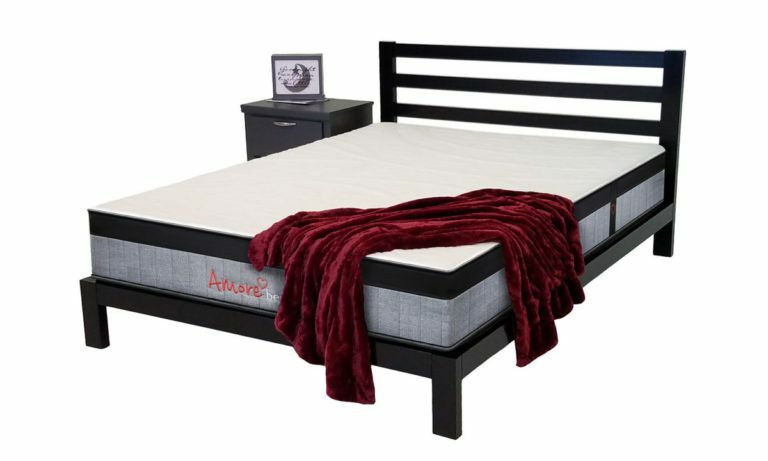 If you need additional information regarding the foregoing Terms and Conditions or if you have any questions, comments, or suggestions, we invite you to contact the Company at Support@AmoreBeds.com. 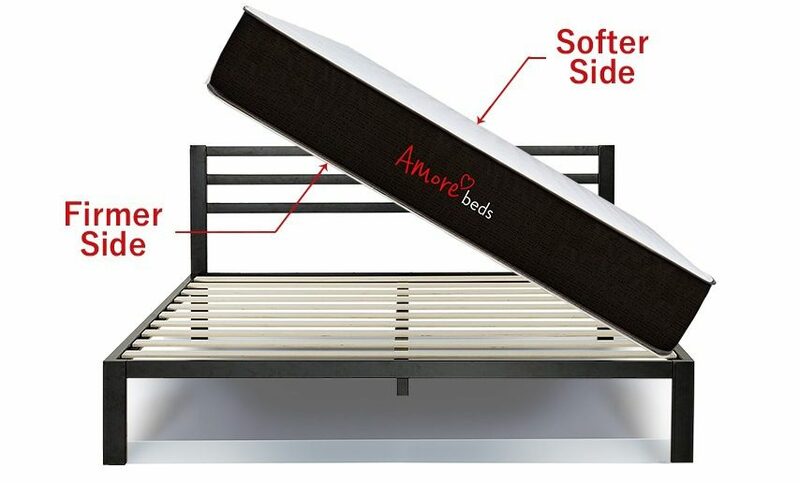 Thank you for purchasing an Amore Bed product(s). We are dedicated to giving you the highest quality products with the highest quality customer service. We are offering a 100 night sleep trial because we want you to have time to try out your new mattress before making a final decision. We require you to sleep on our bed for 30 days before making the decision to return, because we feel that both you and our mattress need to get used to each other. Breaking in a mattress is a very real part of buying a new mattress. 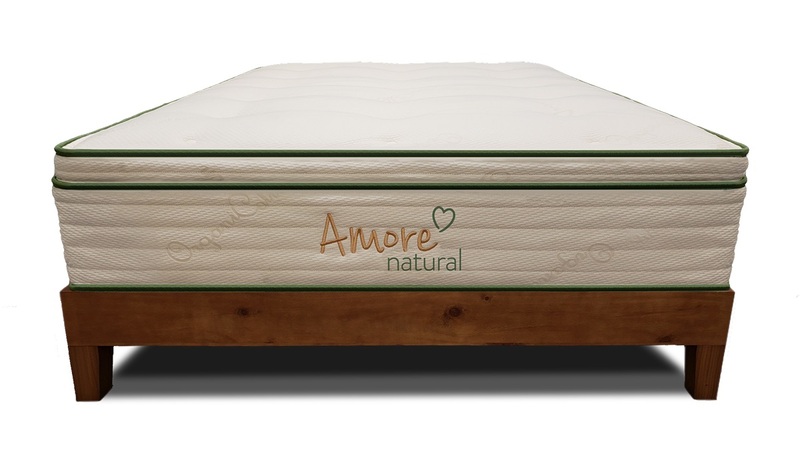 If you are not completely satisfied within 100 nights of receiving your Amore Bed, you may return it for a full refund. Only 1 (one) return per person per address. We will cover return shipping. Any return required prior to the recommended 30-day trial will incur a $100 fee unless prior approval has been received. Despite free shipping to the customer, we incur shipping fees each direction, so if a mattress (or accessory) is refused or does not get signed for, additional shipping charges may get applied on a case by case basis. Non-refundable shipping surcharges apply to AK, HI, PR, Canada, Mexico, and any other international. Import fees, duties, or taxes are not refundable. Any customization, such as “Copper” or “Split” options or fees are non-refundable (mattress is still refundable less these options). White-Glove delivery service fees are not refundable under any circumstance. This service can add up to 4 days to the delivery process. Insignificant damage or blemishes that do not hamper the functionality of the mattress are not considered a refundable reason and does not warrant any corrective action. This includes (but is not limited to) a loose thread, stitch, stitch hole, or an insignificant blemish on the sides or bottom panels. Wrinkles are common with fabrics and are also considered cosmetic. If the case of a more significant blemish, we reserve the right to repair or replace the damaged area or cover it with a new panel providing that the integrity of the mattress is not compromised. Please note that returns and exchanges cannot be handled through social media. In order to make a return or exchange, you must call 844-842-6673. Your return must be in “Like-New” condition and must not contain stains or odors. Please retain original receipt or order number. Law tag must be in-tact and affixed to the mattress. Once a return is approved, we allow 30 days to have the return fulfilled. If additional time is required, you must obtain written approval. All promotional incentives or materials such as (but not limited to) gift cards, pillows, or toppers must be returned or their value will be deducted from the refund unless otherwise noted. We will do our best to source a local charity to come to your residence to pick up the return. If a charity is not able to be sourced, the mattress may be recycled or salvaged. Amore will cover the shipping or pickup charges for returns and exchanges, except when there are extenuating circumstances such as high-rise pickups, weekend pickups, outside regular business hour pickups, or code / ordinance / association prohibited circumstances. We will do our best to inform you ahead of time if we foresee any extenuating circumstances. Accessories, such as (but not limited to): Frames, box springs, foundations, adjustable frames, pillows, sheets, mattress protectors, and mattress pads are not returnable and do not come with a comfort trial period. These items can be used with any other mattress and are not contingent with the use of our mattress. Each item carries it’s own warranty that will be displayed at the bottom of it’s respective product page. Unopened and unused accessories may be accepted for return on a case by case basis with prior approval and a restocking charge may be applied unless otherwise noted. We will allow one (1) exchange per order/household/address. When you exchange within the 100 night trial, you will not be eligible for another 100 night trial on the mattress for which you exchanged. If you exchange for another model, we assume you already love the Amore quality and simply need a different model to fit your needs. After an exchange has been placed, the 100 night trial will end and you will not receive the remaining trial days from your original order. The original mattress must be received prior to us shipping out the replacement unless otherwise specified. Please contact us for further details.